This post is dedicated to Mary, a controversial, intelligent, beautiful, ill-fated, yet beloved Queen, died on this day the 28th of December, 1694. She was only thirty-two years old. Mary II, Photo taken by Andrea Zuvich at In Fine Style at Buckingham Palace. I say that she was controversial because her reign was, and still is, a subject of controversy. You see, William and Mary were invited to take the throne by the Immortal Seven – seven of the most influential men in the kingdom – away from Mary’s father, King James II. Ultimately, it boiled down to a question of religion: James II, his Queen consort, Mary of Modena, and their children, were Catholics. Mary and William were Protestants (the latter a Calvinist). There were those that did not accept the new sovereigns, and so we began to see a division – those who supported the old reign were Jacobites, and the followers of William and Mary were Williamites. Mary had had a sad time of it. She was forced into marrying her older cousin William when she was fifteen, back in 1677. He was in no way like most of the courtiers she had known, who were usually flamboyant, foppish, and very handsome. William was incredibly serious, taciturn, reserved, and not very physically attractive…at first sight. Fortunately, she fell deeply in love with her husband, who was actually a pretty good man once a person got to know him. Sadly, the one thing Mary wanted more than anything else in her life – children – was denied her. Soon after their marriage, Mary became pregnant. Everything seemed fine until an unfortunate desire to be with her husband made her travel to Breda (near where he was encamped with his army) and she suffered a terrible miscarriage. Things in their relationship went from good to bad, for she had at least one other miscarriage, and then again thought she was pregnant a third time, but wasn’t. William then turned to another woman, Betty Villiers, a lady-in-waiting and a supposed friend to Mary. Relations between the married couple became strained and Mary began to put on weight, in much the same manner as her mother, Anne Hyde, before her. Mary became increasingly lonely. Though she had this emotional betrayal to deal with, Mary was very happy in her adoptive country of the Dutch Republic. She loved the people, and they loved her in return, and she was generally happy with her situation. Everything changed in 1685. King Charles II, William and Mary’s uncle, had died without legitimate heirs, and the throne passed to his younger brother James. 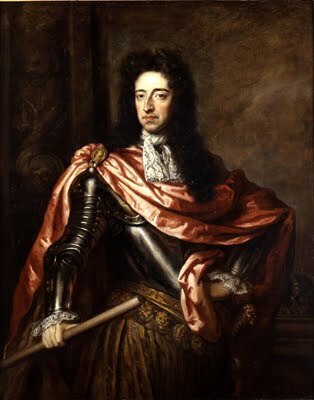 Shortly after he acceded to the throne, Charles’s oldest illegitimate son, James, Duke of Monmouth, rose up in rebellion against him – he lost the war and his head. That her father had retaliated with such cruelty seems to have impacted Mary in her relations with him, laying the groundwork for their future, terrible rift. Three years into his reign, James had irritated and alienated too many important people in his court that something had to be done. When his queen, Mary, gave birth to a son, the Catholic succession was ensured, and this was the final straw. Rumours abounded that the child was a changeling, and the infamous warming pan baby myth arose – even Mary seems to have believed it (fuelled on by her sister Anne’s suspicions). To cut a long story short, this was when William invaded England and, unlike Monmouth before him, he was successful, and James eventually fled after his family into exile in France. They called this invasion the Glorious Revolution of 1688/89. 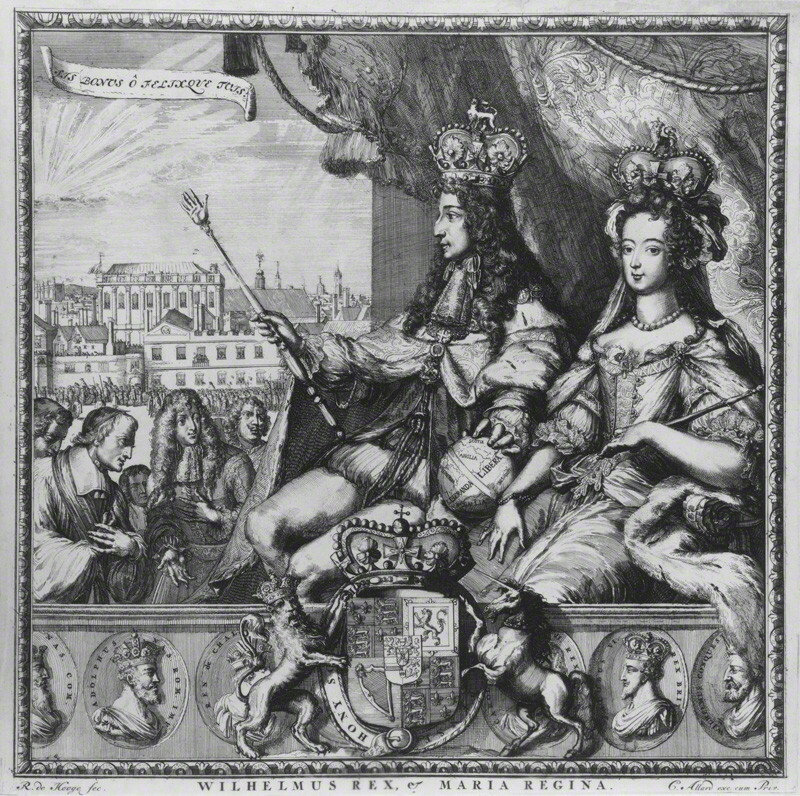 NPG D32270; King William III; Queen Mary II by Romeyn de Hooghe, published by Carel Allard, by Romeyn de Hooghe, published by Carel Allard, etching with additional letterpress text, 1689 or after. National Portrait Gallery, London. William and Mary’s time upon the throne was not fun. First of all, Mary had deep troubles about usurping her father’s throne – she loved him very much, and she was plagued by guilt. She was torn between duty to her father, her husband, and her religion. As her love of her faith and her husband were so strong – these outweighed the devotion she had for her father. Also, once married, a woman had to support her husband first and foremost. William and Mary had no end of troubles to deal with – situations and circumstances which they were never supposed to have had. Mary pretty much ruled on her own, though she often wrote to William asking for his opinion and guidance on matters. She was a very capable ruler whilst William was absent for he had to constantly go off to protect their throne. He was constantly engaged in battle against Jacobite forces – notably in Ireland. He decidedly beat James’s army at the Battle of the Boyne, but later the Glen Coe Massacre in Scotland dealt a terrible blow to his reign. Fast forward to December of 1694, Kensington Palace: Mary awoke to find the rash of smallpox on her arms. She had never had the disease, unlike most of her family. She began to burn letters and pages of her diary and she put her affairs in order. William was summoned and he came immediately. She was given the standard horrible treatment by the physicians (sometimes the treatment made things worse for the patient!) and she seemed better. She could eat and was sitting up in bed. The doctors then thought that she had contracted measles and not smallpox, so some people were greatly relieved. Unfortunately, the pustules on her skin did not pop but sank into her flesh – a very bad sign indeed, for this proved that she had smallpox, but worse, she had hemorrhagic smallpox – the almost always fatal strain of the disease. Mary was on her deathbed and she spoke to William, who had been sleeping on a camp bed by her side for days, and in the depths of the night, she died. “from being the happiest of men I shall now be the miserablest creature on earth”. William III died at Kensington Palace in 1702. I have admired Mary for many years now, and that is another reason for the time it is taking me to write the novel about her and William – I want to do their story justice and be as historically accurate as is possible. She is so often overlooked in history, and I think that is terrible. 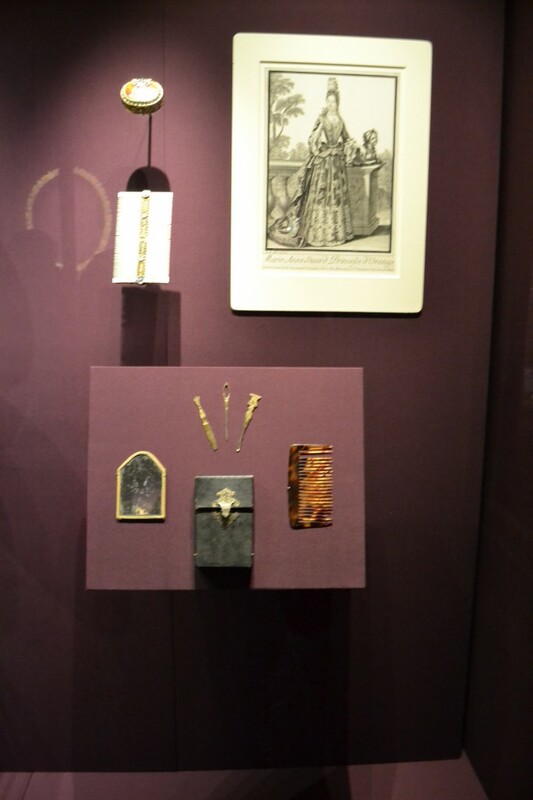 Mary was, at the time, compared to Elizabeth I – no mean feat! NPG D21066; Queen Elizabeth I; Queen Mary II by John Sturt, after Unknown artists. circa 1689-1694. National Portrait Gallery, London. And so I hope you’ll join me – on this day – the 319th anniversary of her death, to remember the loving woman, and the great, though reluctant, Queen that she was. 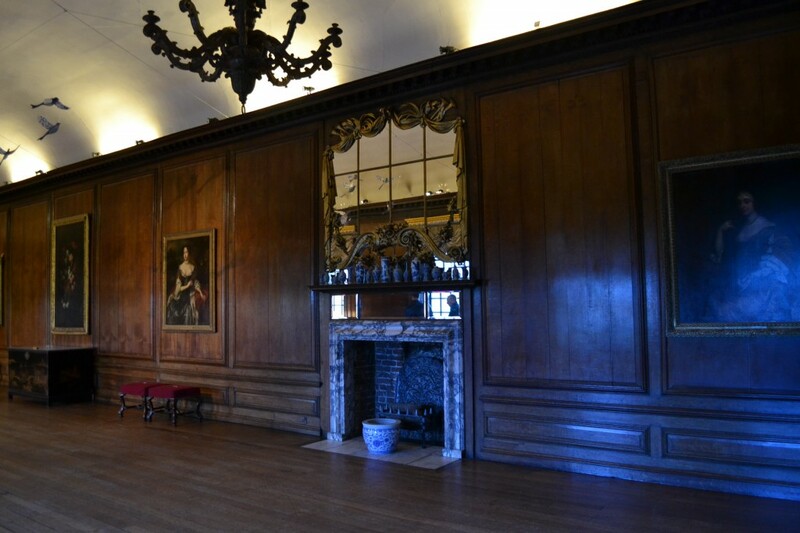 I used to work in the State Apartments of Kensington Palace, and sometimes when patrolling in the quiet of the night, I would pause and look into the Queen’s Bed Chamber and imagine the awful days that led up to, and the occasion of Queen Mary’s death. So young and such a dreadful way to die. During the Queen’s funeral it snowed, and at Westminster Abbey, a robin flew into shelter from the cold. It perched for a while on the Queen’s funeral bier, and I was often reminded of this occurrence when in the palace gardens, of which Queen Mary was so fond, for there are always robins to be found living close to her home. Thank you, Ralph, for such a beautiful contribution. Whenever I do the Garden History Tours there, I always make a point of emphasising Mary’s influence and love of the gardens and of animals. What a lovely woman she must have been! Really clear exposition of historical events . You can have the Queen’s portrait in a human way. What a fantastic site. I just discovered it today and it is fabulous. So much to read and learn. The funeral music was so moving…just beautiful. I have just started reading up on this period so this was a lovely introduction to an exciting time in history, and an impressive woman! Thanks. All my adult life I have pondered the short life and sorrowful death of Queen Mary, so young so beautiful. As one descended from the Jacobite clans defeated at the Boyne (the Drakes) it’s interesting to read up on “the other crowd”!!! While the Orange Orders antics bring Irish angst out on Williams memory few remember his quote: “I came to liberate the Protestant not to persecute the Catholic “. 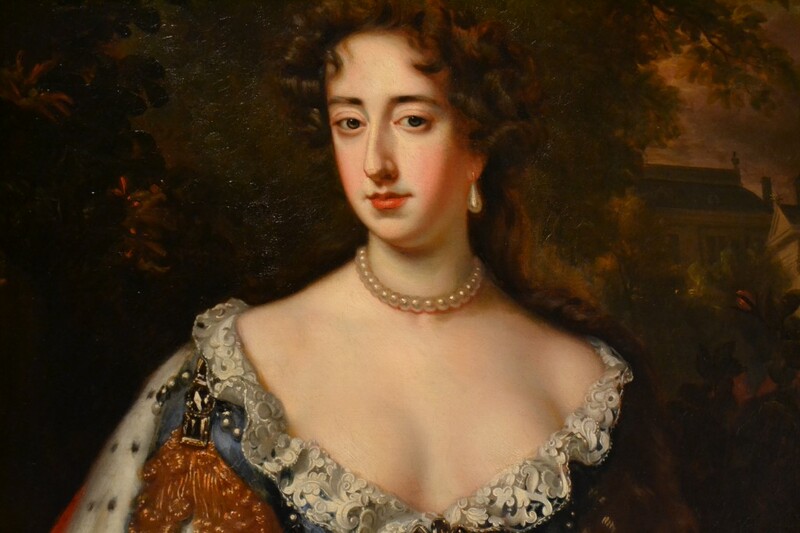 I have been devoted to Mary II since childhood, constantly holding her up to historical criticism and reappraisal, and am happy to have found her on your delightful site, portrayed with such intelligence and sensitivity. Well done Andrea. I hear you when it comes to taking time to write the novel about Mary and William… I hope 2016 will be the year for us. Wishing you and yours a healthy, inspiring and peaceful 2016 and look forward to finally meeting. Keep up the good work! A quote from my research for my 2016 book on Whitehall Palace : Within 2 months of James II’s departure in 1688, the Glorious Revolution occurred. 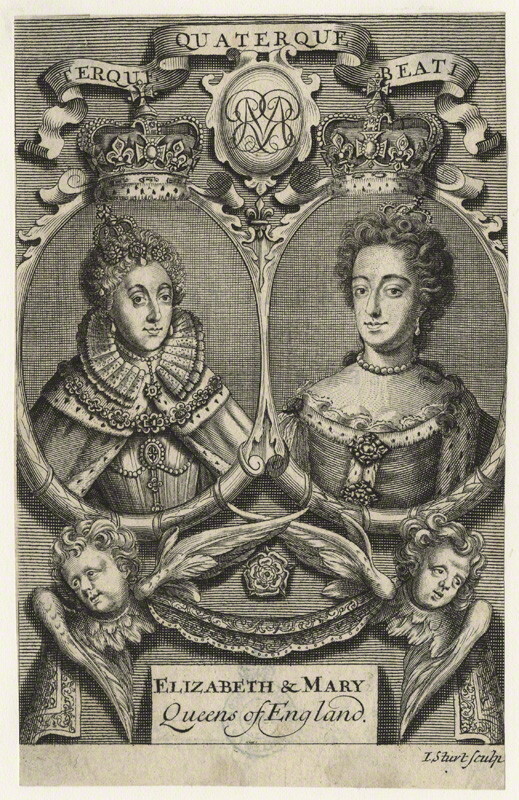 James’ eldest daughter, Mary Stuart and her husband, William of Orange were jointly offered the crown and their coronation took place at the Banqueting House at Whitehall. England now had a new king and Whitehall Palace had a new master, although William and Mary had no real fondness of the now old palace and they thought it to be much too large for their needs. I am a great admirer of Queen Mary II, she is the best and most loving person I have ever known, and I have always looked for books and novels about her. Do you have some recommendations? I am in desperate need of a William and Mary costume for myself and my husband, due to go to a party as the Royal couple and saviours of our Protestant country! 1688/9 was such an important event and I for one want this remembered and celebrated, especially since we have got Brexit! I need these costumes for St George’s Day (April 23rd 2017). If any readers can help please go through this site and I will pick it up. The wigs really worry me! Many thanks for this article. A great read.